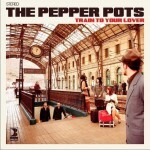 With the wheels well-oiled and on full steam The Pepper Pots train arrives with its fourth album "Train to your lover", a new step forward in a career in constant evolution, yet continuing within the same parameters - those of finding that "Old School" sound of the best albums of the mid-60's. To find this sound The Pepper Pots have recorded the album in their own recording studio "Black Pepper Studio", using an entirely analogical setup and using similar instruments to those used in the golden era of Soul. Each band member has collaborated in each of the tasks involved in the recording: the composition, arrangements, production, mixing…..and the final mastering touch comes from the hands of the legendary Bob Ohlsson, Motown sound engineer during the classic period of the label -between 1965 and 1972, working with leading artists including Stevie Wonder, Marvin Gaye, The Four Tops, The Temptations, Smokie Robinson & the Miracles, The Spinners or Gladys Knight & the Pips. The result is 12 own tracks that stretch from the best of the Supremes to early Jackson 5, from deep soul ballads of Doris Duke to ground-breaking northern soul; classic sounds and influences The Pepper Pots have sprinkled with new life with some of their best songs to date. With 300 appearances and counting, The Pepper Pots have moved audiences in concerts around the globe: Tokyo, Osaka, San Francisco, Los Angeles, Berlin, Paris, London, Moscow, Helsinki, Vienna, Verona, Prague, Bern, Barcelona, Madrid… as well as featuring at major festivals such as South by Southwest (Austin-Texas), Summer Jam Reggae Festival (Cologne-Germany), Rock for People (Hradec Králové – Czech Republic), BAM Festival (Barcelona-Catalonia), Black Music Festival (Girona-Catalonia) and many others. ******** CASTELLANO ********* Con la locomotora bien engrasada y a toda máquina llega el tren de The Pepper Pots con su cuarto disco, "Train to your lover", un nuevo paso dentro de una carrera en constante evolución, siempre siguiendo los mismos parámetros, encontrar el sonido "Old School" de los mejores discos de mediados de los 60. Para conseguirlo, The Pepper Pots han grabado en su propio estudio "Black Pepper Studio", empleando un equipo totalmente analógico y con instrumentos similares a los que se usaban en la época dorada del Soul. 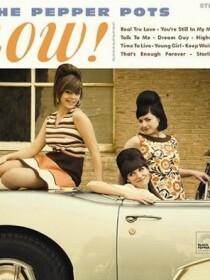 Se han hecho cargo de todas y cada una de las tareas que implica la grabación de un disco: la composición, los arreglos, la producción, la mezcla… Y el toque final en la masterización viene de la mano del legendario Bob Ohlsson ingeniero de sonido de Motown entre 1965 y 1972, la época clásica del sello, donde trabajó con artistas de la talla de Stevie Wonder, Marvin Gaye, The Four Tops, The Temptations, Smokie Robinson & the Miracles, The Spinners o Gladys Knight & the Pips. El resultado, son 12 temas propios que van desde las mejores Supremes a los primeros Jackson 5, del baladón deep soul de Doris Duke al rompepistas northern soul, influencias y sonidos añejos a los que The Pepper Pots llenan de vida con algunas de sus mejores canciones hasta la fecha. Ya son más de de 300 actuaciones, en las que The Pepper Pots ha hecho vibrar al público de las principales ciudades de todo el mundo: Tokio, Osaka, San Francisco, Los Ángeles, Berlín, París, Londres, Moscú, Helsinki, Viena, Verona, Praga, Berna, Barcelona, Madrid… y ha tocado en los festivales más destacados como el South by Southwest (Austin-Texas), SummerJam Reggae Festival (Cologne-Alemania), Rock for People (Hradec Králové - Rep. Txeca), BAM Festival (Barcelona-Catalunya), Black Music Festival (Girona-Catalunya) entre otros muchos. ******* CATALÀ ******* Amb la locomotora a tota màquina, arriba el tren de The Pepper Pots amb el seu quart disc, "Train to your lover", un nou pas dins d'una carrera en constant evolució, seguint sempre els mateixos paràmetres, trobar el so "Old School" dels millor discs de la meitat dels 60. Per aconseguir-ho, The Pepper Pots han gravat en el seu propi estudi "Black Pepper Studio", utilitzant un equip totalment analògic i amb instruments similars als que s'utilitzaven a l'època daurada del Soul. S'han fet càrrec de totes i cadascuna de les tasques que impliquen la gravació d'un disc: la composició, els arranjaments, la producció, la mescla… I el toc final en la masterització ve a càrrec del llegendari Bob Ohlsson, enginyer de so de Motown entre 1965 y 1972, l'època clàssica del segell, on va treballar amb artistes de la talla de Stevie Wonder, Marvin Gaye, The Four Tops, The Temptations, Smokie Robinson & the Miracles, The Spinners o Gladys Knight & the Pips. El resultat, són 12 temes propis que van des de les millors Supremes, als primers Jackson 5, de la balada deep soul de Doris Duke al northern soul, influències i sons anyencs als que The Pepper Pots omplen de vida amb algunes de les seves millors cançons fins al moment. Ja són més de 300 actuacions en les que The Pepper Pots ha fet vibrar al públic de les principals ciutats de tot el món: Tokio, Osaka, San Francisco, Los Ángeles, Berlín, París, Londres, Moscú, Helsinki, Viena, Verona, Praga, Berna, Barcelona, Madrid… i ha tocat en els festivals més destacats com South by Southwest (Austin-Texas), SummerJam Reggae Festival (Cologne-Alemania), Rock for People (Hradec Králové - Rep. Txeca), BAM Festival (Barcelona-Catalunya), Black Music Festival (Girona-Catalunya) entre molts altres.